April Holiday List & Fun Ways to Celebrate - So Festive! Here’s a list of all the fun and random April holidays. Besides Easter, there’s so many simple holidays to celebrate. We share fun ways to celebrate each April holiday below. See all the monthly holiday lists here. 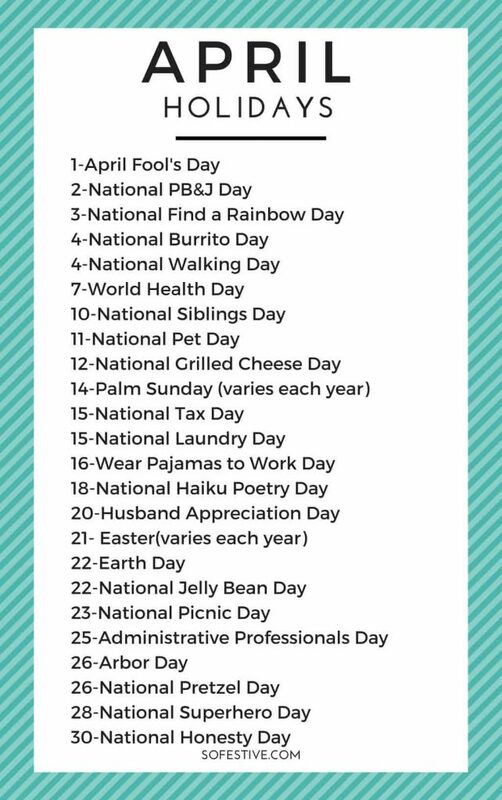 If you’re looking for a simple way to add some festiveness to your life, celebrate one of these random April holidays. The fun starts on April 1st which is April Fool’s Day! Don’t forget to check out all our other Monthly Holiday lists here.